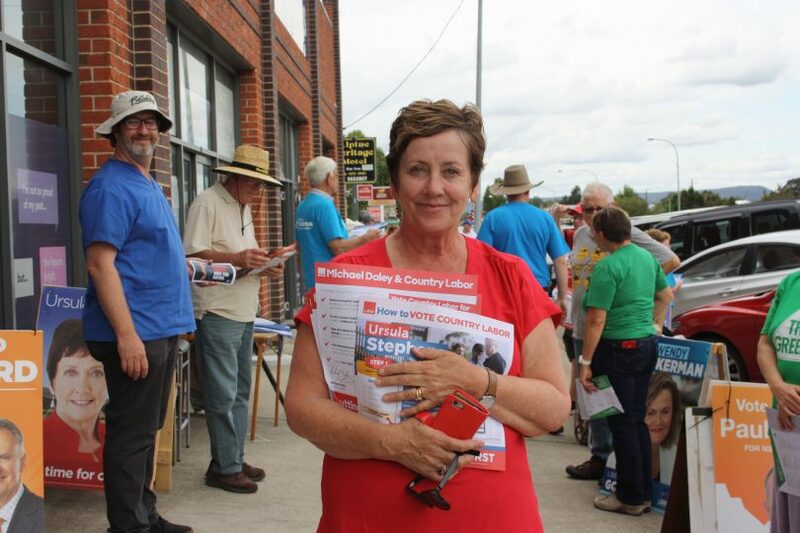 The Coalition’s new Member for Goulburn Wendy Tuckerman at prepoll on Friday. Photos: Maryann Weston. 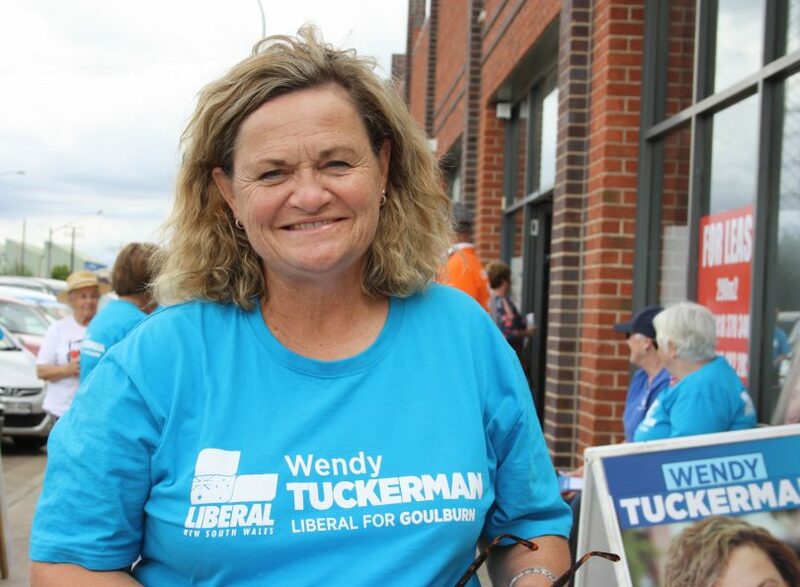 For newly minted Member for Goulburn Wendy Tuckerman, the real work begins now, following her hard-fought 75-day campaign that began with the surprise resignation of sitting Member Pru Goward late last year. The new local MP aims to get straight down to business with a priority on ensuring the pre-election funding promises from the NSW Government are delivered to the electorate. Meanwhile, two pressing lessons have emerged in the wash-up from Saturday’s election: the ALP candidate Dr Ursula Stephens campaigned strongly enough to reduce the Coalition’s margin to around 2.1 per cent (at this stage); and the minor parties polled extremely strongly, meaning Mrs Tuckerman will need to work consistently and effectively during her time as the Member for Goulburn – something she has committed to doing. Speaking to Region Media, Mrs Tuckerman said the electorate could ‘not be taken for granted’. “I’m ready to get fired up. It’s very exciting. I knew it would be very close and I’m heartened by this win. Obviously, I worked very hard and my goal was to meet as many of the constituents as I could. I worked extremely hard over 75 days,” Mrs Tuckerman said. Although experienced in Local Government, Mrs Tuckerman will be new to the Parliament. “I’ll be like a sponge and taking everything I can in and pushing for my electorate.” As promised, she’ll be establishing her electorate office in Goulburn. The ALP candidate for Goulburn Dr Ursula Stephens at prepoll on Friday. There has been a swing to the ALP in Goulburn, and also very strong polling from the minor parties. For Dr Stephens, there will be little time to rest as she takes on the position of Campaign Manager for Federal ALP candidate for Hume Aoife Champion. While there’ll be analysis, most likely before Easter, there is also a recognition of the strong performance of the ALP campaign. “Of course I’m disappointed but there was a swing to the ALP and the seat is now marginal and that means no one can take it for granted. We needed to get a 6.6 per cent swing to win and we got 4.5 per cent swing bringing it down to a 2.1 per cent margin,” she said. At present, and with postal votes still to be counted, Dr Stephens trails Mrs Tuckerman by around 1600 votes. The rise of the minor parties and their strong polling will prompt reflection and ‘soul searching’ not just for the ALP but the Coalition. In Goulburn, there was a swing away from both major parties, particularly to Shooters, Fishers and Farmers candidate Andrew Wood, and to the One Nation candidate Richard Orchard. The Greens recorded a minor swing against them. For a breakdown of election results, seat by seat including Goulburn, you can visit the ABC’s election site.